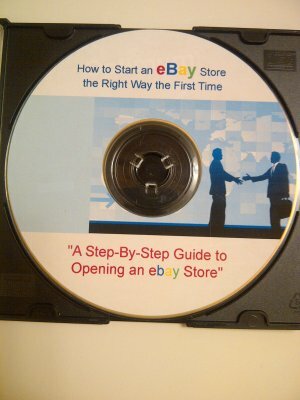 How to Start an eBay Store the Right Way, the First Time! .Finally, we have a complete guide on how to start an eBay business from one of eBay’s most successful entrepreneurs. This is not only a complete guide, but offers “proper” guidance the “first time”! Written by Author: Tonya Becker-Haddadeen, who grew up in a small mining town in Southern West Virginia named Welch. Tonya began selling on eBay as a hobby to generate spending cash, possibly motivated by her dad who owned his own business for 30 years. Tonya began selling on eBay in 2006 and by 2007 she had been awarded by eBay for her achievements! She is now a certified eBay Store Designer, Website Designer, and Home Business Consultant--as well as an Advertising and Marketing Specialist. Most importantly, she is our bridge to independency! Act now, for the nominal price of $9.95 to receive your complete guide on how to start an eBay business the Right Way, the First Time! This Step by Step Guide to Opening an eBay Store the Right Way, the First Time, is a must for anyone who need a tried and proven method to success! But you need to hurry as this special offer may not last long! We highly recommend you be able to devote 30 minutes to an hour a day and take your time reading and researching the information in this e-Book for guaranteed success. Don't miss out on this amazing offer for the low low price of $9.95, how can you lose? An eBook is an electronic book, one you read digitally on your computer, laptop screen or on devices called eBook* readers. You will find them in various formats and until the industry has a standard accessible in all devices these various formats will exist. PDF format is a popular format for eBooks*. All platforms are able to gain access and read PDF formatting. So regardless if you have a PC or Mac, you are in business! PDF requires the Acrobat Reader but this software comes on many new computers and if not included, it's a free downloaded from Adobe web site.